Restaurants, which typically operate on razor-thin margins, should always be looking for ways to raise the floor, or increase their average check sizes. But customers don’t like to feel like they’re viewed as dollar signs walking through the door. It takes finesse to increase average check sizes without looking like a jerk. Still, that doesn’t mean it can’t be done. It will just take a little more work. Here are some proven ways to up your floor sales without driving customers right back out the door. 1. Front-load the learning: As part of staff on-boarding, develop written menu knowledge tests and retest periodically afterward. 2. Taste tests: Provide your team with regular opportunities to actually taste the products. They need to speak from experience when dealing with guests. It shows when they don’t know. This is particularly important when it comes to signature dishes and specials. Introduce each new item to your staff with a tasting and educational meeting. 3. Enthusiasm is key: Happy staff who are excited about the products they’re trying to sell will instill confidence and excitement in their guests. Think about it: Why would you spend your money on something the person trained to sell it doesn’t seem to believe in? 4. Know the menu inside and out: More important than enthusiasm, though, is knowledge of the menu. If a server stumbles through presenting the specials or can’t answer questions about dishes, customers won’t feel confident in your restaurant’s products. On the other hand, a server who easily answers questions and then makes a glowing recommendation for a particular dish is a server who is likely to have the guests’ trust. That trust will translate to sales. 5. Share the wealth: Give staff members a portion of the weekly/monthly profits. This will certainly motivate them to get those check sizes up! 6. Qualify your guests: Train your team to ask key questions that help them understand your guests and why they’re visiting your establishment at that moment. Armed with the answers to those questions, they can better upsell and cross-sell items, while generally building a friendly rapport with customers that will help them make recommendations customers will buy. Upselling and cross-selling must be done. But the trick is to do it in a way that makes the customer feel valued and heard, not in a way that makes it clear you’re just after more of their hard earned cash. Here are a few tried and tested tricks. 8. Recommend dishes with the best profit potential: Upselling doesn’t necessarily mean trying to get customers to buy the most expensive item on the menu. Instead, help your servers focus on making recommendations for the items with the highest profit margins. A mid-priced entree that costs next-to-nothing to make could very well be a better upsell than anything pricey. Take a little time to analyze your menu, and make sure the servers know which items have the best margins so they can sell those. As a bonus, the customer is likelier to be receptive to a server’s suggestion when it’s not one of the most expensive options. 9. Do it incrementally: Here’s a fact: When your servers try to upsell their customers, the customers know exactly what’s going on. They’re going to see straight through a server who makes expensive recommendations. So instead, have your servers be a little more subtle about it, and offer something just a little bit nicer than what the customer had in mind. They’re already ordering steak? Mention the slightly nicer cut. They’re getting three or four glasses of wine at the table? Maybe they’d rather have a bottle. 10. Don’t be annoying: This should probably go without saying, but when trying to upsell guests, it’s so important to read their cues and refrain from being pushy or annoying. If a guest doesn’t seem interested in recommendations, it’s OK not to give them. If they’re not drinking, don’t try to push pricey cocktails. While we all want to increase those average check sizes, it’s not worth it if you try to do so at the expense of alienating customers who may have given you repeat business otherwise. 11. Review specials as soon as possible: It obviously makes sense to go over the dinner specials with your guests before they place an order, but don’t forget about drinks! Many customers will want a drink quickly after being seated, so as soon as the server arrives to the table, they should go over drink specials before taking any drink orders. It’s very possible that a specialty cocktail will catch a guest’s interest, and they’ll end up spending a little more on that fancy drink that was just enthusiastically detailed. Plus, the sooner that drink order gets in, the sooner the drinks arrive to the table, meaning guests have more time to finish them and order another round to go with dinner. Even just one extra drink can boost a check significantly. 12. 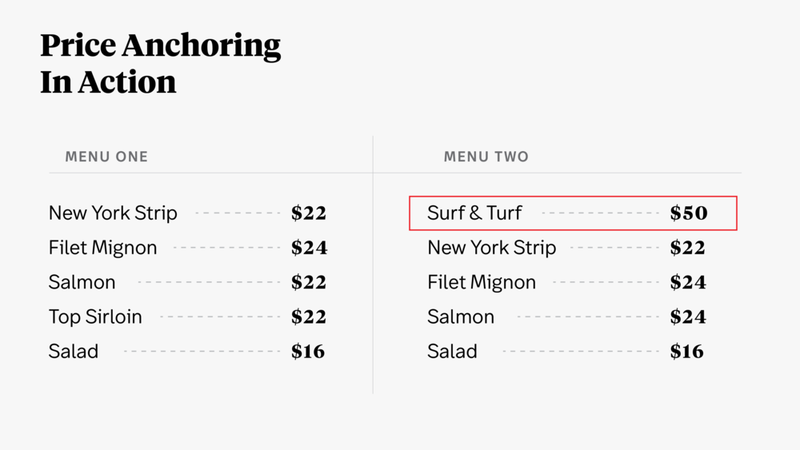 Recommend splitting things: This one is a little counterintuitive, but if it appears that a table is not going to order any appetizers or desserts at all, servers should recommend they split one — or both. The guests will feel like they’re getting a better deal since they’re sharing the cost, and it’ll add to the bottom line on the check. 13. Suggest dessert to go: Portion sizes at restaurants are often much bigger than what guests can comfortably eat — it helps them feel like they’re getting a good value when they dine out, which is great for repeat business. But if the end of the meal has rolled around and a table says they’re too stuffed for anything sweet, suggest getting dessert in a doggy bag to take home for later. Guests with a sweet tooth might find that offer too good to resist, and end up padding the bottom line on that check with something they otherwise would have skipped. 14. Add premium products to your menu: There’s some psychology behind pricing and what customers are willing to spend. When you offer premium products at a much higher price point than most of your menu, it increases the perceived value of even the mid- and lower priced items. This is an effect known as price anchoring. It means you can slightly increase prices on those items without customers batting an eye. 15. Offer combos or bundled orders: While this may not be the most fine-dining-friendly strategy on this list, offering combo meals or bundles that include drinks, apps or desserts is a great way to get your guests to buy more than they may have purchased otherwise, while still feeling like they’re getting a great deal. Think 2-for-$20 deals at fast casual chains that offer two entrees and an appetizer for one fixed price. If it looks like a great deal, guests will go for it, even if they hadn’t initially planned to order that much food. 16. Small plates yield big margins: Nothing has changed but the portion size. Ask any tapas bar manager. Small plates are very trendy these days and a big way for restaurants to grab bigger margins. 17. Offer online ordering: It’s not going to work for every establishment, but if you can, add online ordering to your restaurant's offerings. Studies have shown that customers who place orders online tend to order more, increasing their average check sizes by more than 20 percent. 18. Auto-upsell through your website: If you are able to build that online ordering system, structure it with an eye for beauty and consistency. Ensure that customers are tantalized by well-curated photos of various food and drink selections. Design a click-through process so that customers are offered upsell and cross-sell options as they build their orders. Where servers may sometimes forget the upsell opportunity, the robots that run your website will never fail you. 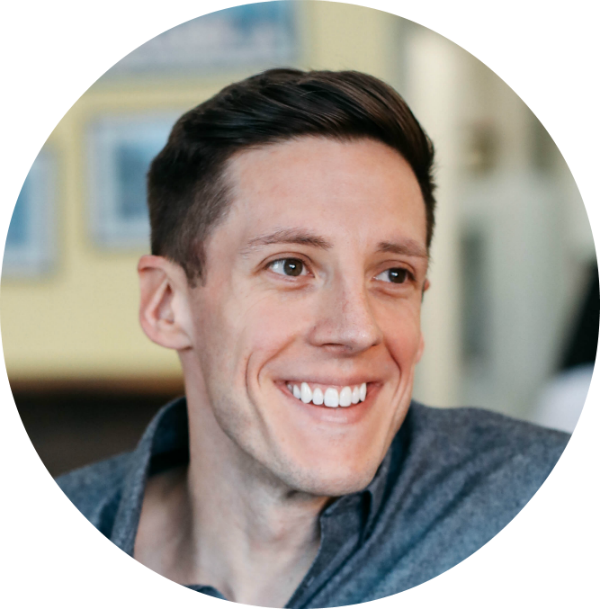 While it takes a little planning, a little training and a lot of strategy, it’s entirely possible to raise the floor at your restaurant without coming across as a jerk or putting off your customers. When you need to increase your bottom line behind the scenes, too, ChefHero can help you streamline your supply chain by using a network of regional wholesale suppliers, saving you both time and money. Get your free quote today to see how much you can save.